the car had been previously tuned but was never tuned to its full potential because the clutch had been slipping during the pulls. also, it had a problem with false knock from the day i bought it, and putting in the QM twin only made matters worse. Almost 30psi peak! Highest I've seen on 94oct Canadian. Great numbers man. 94oct cdn has 20% ethanol in it. I believe US 93 has 10% to none in it depending on the station. Nicely Done Man! That is what I will shoot for tomorrow. Spools really quick! Any compressor surge? 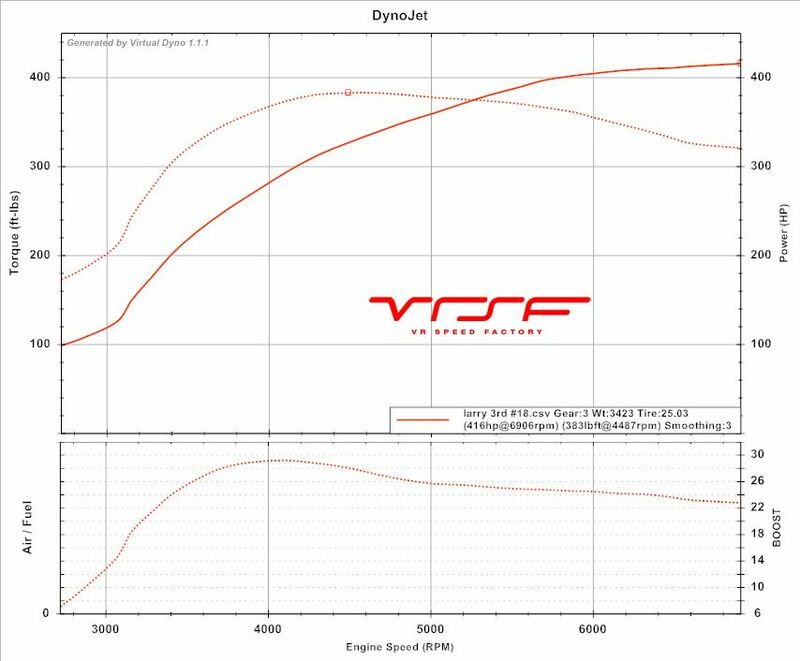 400whp @ 23psi at the top of the rev range is pro! what turbo is this comparable to in the Forced Performance line of turbos on 93 pump? looks like a fun car. Wow, crazy spool. Like a V8. Maybe the 71HTA. The HKS 7460GT2 is one bad mother****er when it comes to spoolup and early torque. there's nothing like it really and its ball bearing. Thanks for posting this Larry.